Delhi to Hemkunt Sahib Taxi: Are you making a mind to hire a Delhi to Hemkunt Sahib Taxi, then you are at right place. 1313 taxi is the best and trustful option to go for the trip. Contact us now and place your order for the hassle-free and on-time taxicab services. Till date, we have conducted numerous hemkunt sahib tours successfully. Correspondingly, we will design your itinerary under the professional guidance of destination experts. Our customized team of expert drivers will give you the world-class traveling experience. Contact us now at +919216041313 enjoy professional Delhi to Hemkunt Sahib taxi service. Likewise, it will be fully advanced and embraced with the latest features and specifications. For more information, visit our website www.1313taxi.com and know the latest and attractive discount offers. With a superb start, 1313 taxi launched its initial taxi service in Patiala. After receiving a positive and optimistic approach from the visitors, we move further adding more vehicles and routes. Consequently, we have expanded our premises to the distant locations. Book our Delhi to Hemkunt Sahib taxi service and enjoy a wonderful journey. Several other pilgrim places are in our daily schedules like Badrinath, Haridwar, Shri Harimandir Sahib, Kedarnath, and many others. We have established a milestone in the tours and travels industry. Moreover, we have done an incredible work to meet the basic traveling requirements of the customers effectively. Our determination, years of experience, punctuality, and dedication are the major strengths for us. These qualities are collectively helpful to recognize us as the best taxi service in Delhi. Especially our Delhi to Hemkunt Sahib Taxi service is at the peak. 1313 taxi has become popular over the years. Our valuable customers always go for us because of their amazing sweet traveling memories with us. Today if we are experiencing the heights, then it becomes possible just because of our invaluable customers. We often appreciate their trust that they have shown to us and we try to make their traveling experience more convenient and enjoyable. We have a special and quite popular taxi service in Haryana, Punjab, and Himachal. We do maximum bookings from these locations. So without thinking more, just book your Delhi to Hemkunt Sahib Taxi now at amazing and superb discounts. We always feel proud of ourselves because of our excellent and remarkable qualities. Apart from it, we have some special norms and qualities. These help us to be among the top taxi service providers. 1313 taxi has explored a massive experience in the tours and travels industry. Further, our punctual and well-behaved drivers are the backbone for us. They know how to treat the customers to win their compliments. They are competent, responsible, agile, diligent and smart-workers. In our fleet, we have a huge collection of attractive, neat and clean vehicles. These are properly maintained and serviced at regular intervals. If you are a group, book our tempo traveller service in Delhi and spend a nice time with your family. Further, we are committed to making your journey safe and secure. 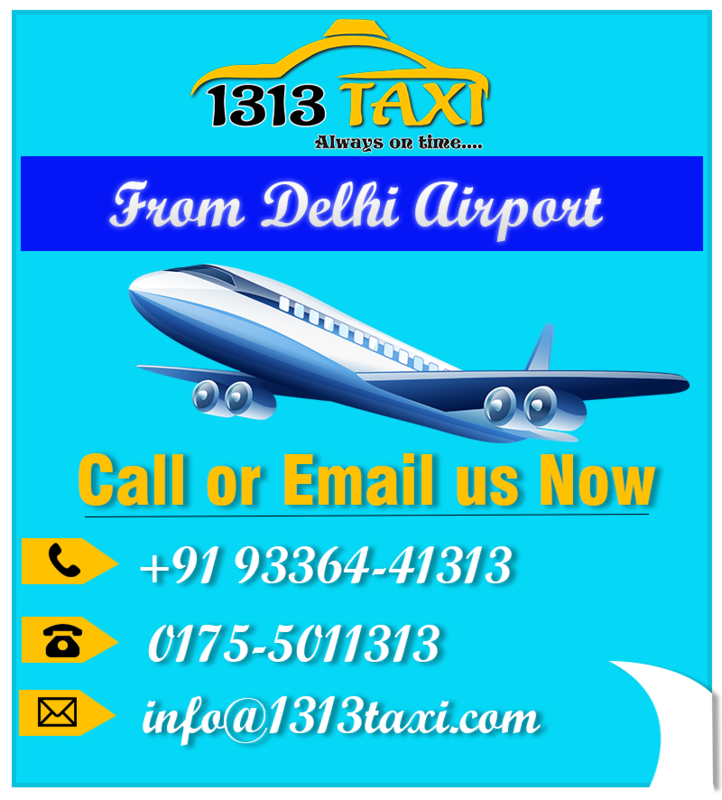 Similarly, we provide one-way taxi service in Delhi, two-way service, half-day or full-day service as per the orders. Book your vehicle anytime 24*7 round the clock online as well as offline. Furthermore, we provide quick support and assistance. We respond to visitors’ queries immediately. It will develop a sense of trustworthiness for our Delhi to Hemkunt Sahib taxi service. 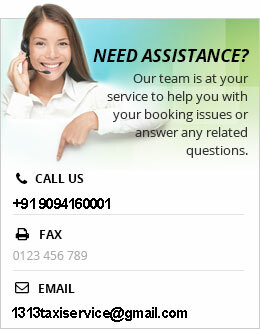 Call us anytime round the clock. Never hesitate to hit us if you have any query about the services.